The genre of biography usually applies to people, but could a similar approach be applied to an object? Can a thing have a life of its own? In this episode, Heghnar Watenpaugh explores this question by tracing the long journey of the Zeytun Gospels, a famous illuminated manuscript considered to be a masterpiece of medieval Armenian art. Protected for centuries in a remote church in eastern Anatolia, the sacred book traveled with the waves of people displaced by the Armenian genocide. Passed from hand to hand, caught in the chaos of the First World War, it was divided in two. Decades later, the manuscript found its way to the Republic of Armenia, while its missing eight pages came to the Getty Museum in LA. In this interview, we discuss how the Zeytun Gospels could be understood as a "survivor object," contributing to current discussions about the destruction of cultural heritage. We also talk about the challenges of writing history for a broader reading public. 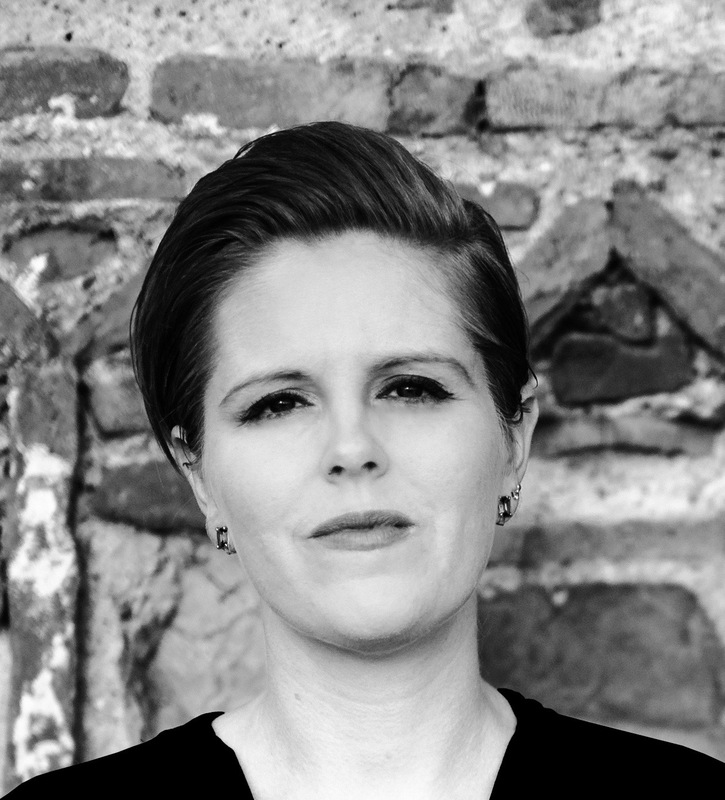 Emily Neumeier is Assistant Professor of Art History at Temple University. She earned her Ph.D. from the University of Pennsylvania in 2016. 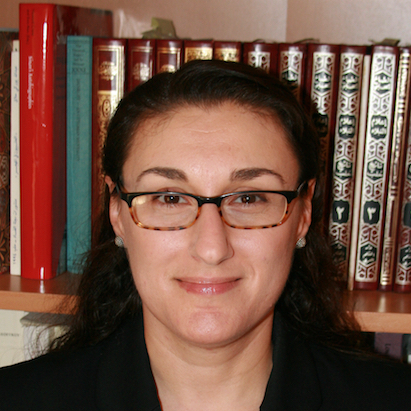 Her research concerns the art and architecture of the Islamic world, particularly of the Ottoman Empire and the Turkish Republic. She is co-curator of our series on The Visual Past. Music: "The Dark Cloud" by Mesrout Takakjian and "Song of Freedom" by Bedros Haroutunian, 1939, Fresno, CA. Both made available by the Library of Congress. 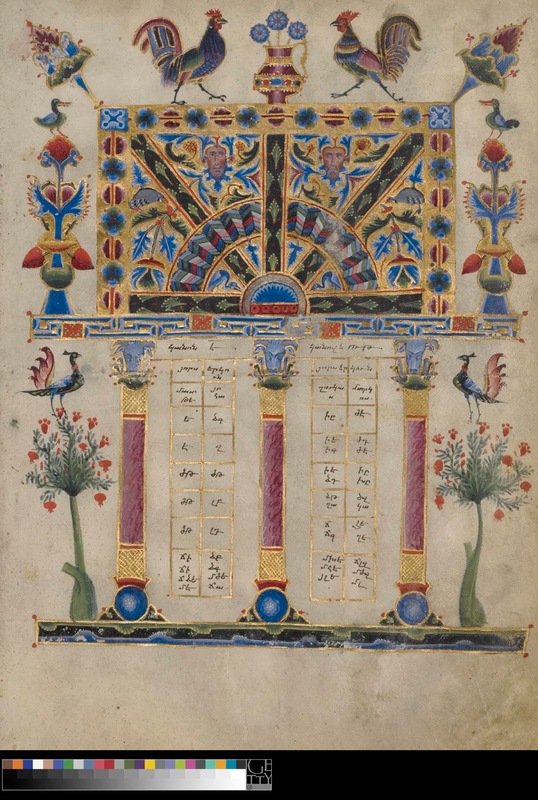 A page from the Canon Tables of the Zeytun Gospels, 1256 CE, J. Paul Getty Museum, Ms. 59, fol. 6r. Made available through the Getty's Open Content Program. 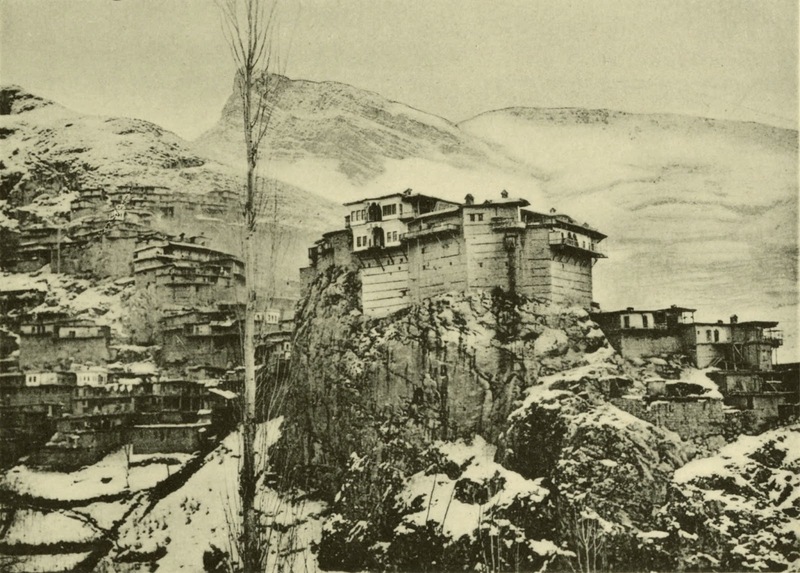 The citadel of Zeytun seen from the southwest. From Hugo Grothe, Geographische charakterbilder aus der asiatischen Türkei und dem südlichen mesopatamisch-iranischen randgebirge (1909). 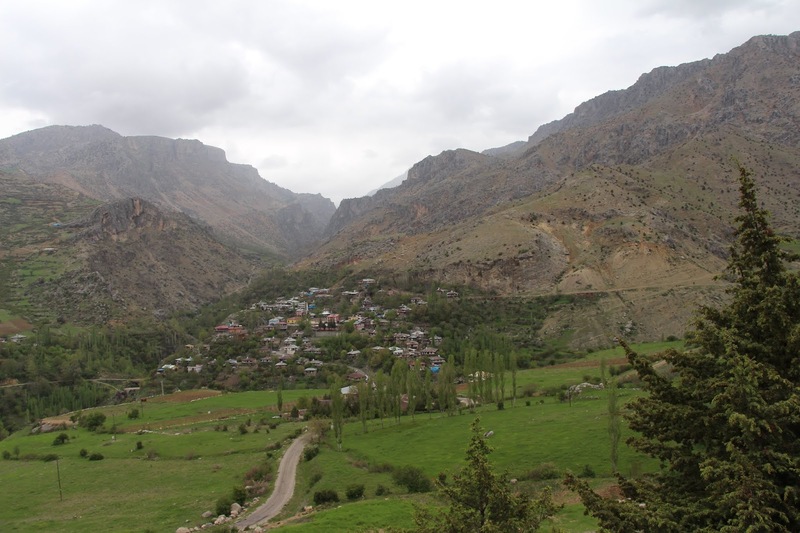 View of Zeytun (present-day Süleymanlı), 2014, photograph by Heghnar Watenpaugh. Watenpaugh, Heghnar Zeitlian. The Missing Pages: The Modern Life of a Medieval Manuscript, from Genocide to Justice. Stanford University Press, 2019. Evans, Helen C., ed. Armenia: Art, Religion, and Trade in the Middle Ages. New York, NY: The Metropolitan Museum of Art, 2018. Exhibition catalog. Feigenbaum, Gail, and Inge Reist, eds. Provenance: An Alternate History of Art. Los Angeles: Getty Research Institute, 2013. De Hamel, Christopher. 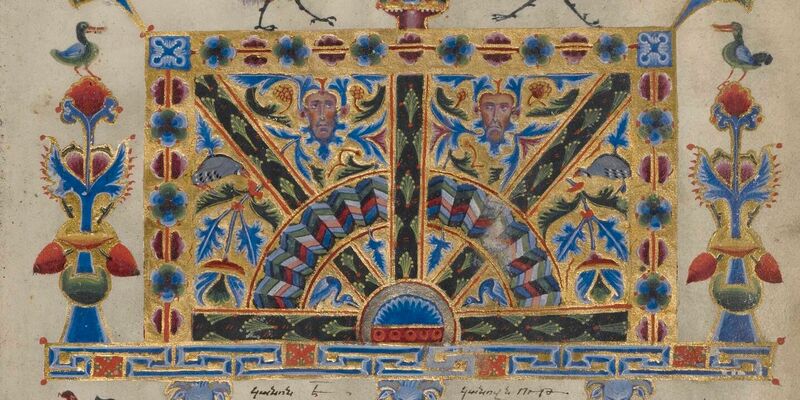 Meetings with Remarkable Manuscripts. London, UK: Allen Lane, an imprint of Penguin Books, 2016. Maranci, Christina. The Art of Armenia: An Introduction. New York, NY: Oxford University Press, 2018. Watenpaugh, Heghnar. "Cultural Heritage and the Arab Spring: War over Culture, Culture of War, and Culture War," International Journal of Islamic Architecture 5:2 (2016): 245-263. Watenpaugh, Heghnar. "Preserving the Medieval City of Ani: Cultural Heritage Between Contest and Reconciliation," Journal of the Society of Architectural Historians 73:4 (December 2014): 528-555. Watenpaugh, Heghnar. "When Art and Religion Collide." Los Angeles Times, July 19, 2010.